Versova MLA Bharati Lavekar has launched a digital bank of sanitary pads, teefoundation.in, in an effort to make it available and accessible to every woman and girl, as reported by the DNA. The sanitary PAD bank is an initiative by TEE Foundation, an NGO that works towards women’s welfare. The digital bank for sanitary pads will act then like a universal pool wherein any needy woman will have access to the pads. In addition to this, people can also donate money to the cause so it can keep up funding the pads. 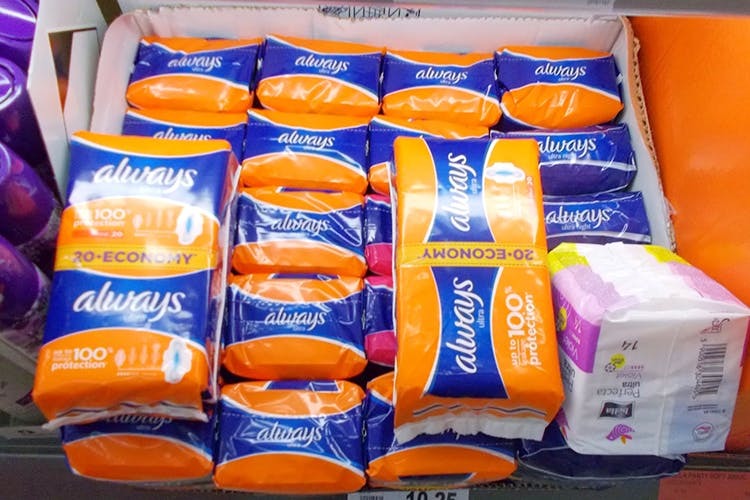 Currently, sanitary pads in India are marked under luxury items, and are taxed. Out of which only 15% of women have access to sanitary pads. That’s a staggering statistic and honestly, really worrisome. By opening up the sanitary pad bank, it is opening it up to every woman with an aim of bridging the gap between the women in need and affordability. Anyone can access the bank as TEE Foundation believes it’s not a luxury, it’s a basic human right. According to DNA, a pack of 10 pads will cost seven rupees – and is already being supplied to tribal and Zilla Parishad schools. Menstruation has long been a stigma and taboo. By launching this initiative, the aim is to destigmatize it. As a donor, you can log onto the website and donate money to keep it going. You can drop off the sanitary napkins at New MHADA Colony, Near Lokhandwala Circle, Andheri West. Find more information on teefoundation.in.